We are in California, escaping the New York winter for a short while. Yesterday afternoon we drove to Joshua Tree National Park and walked among the rocky dunes and desert flora on the southern edge for a bit, before driving deep into the park. 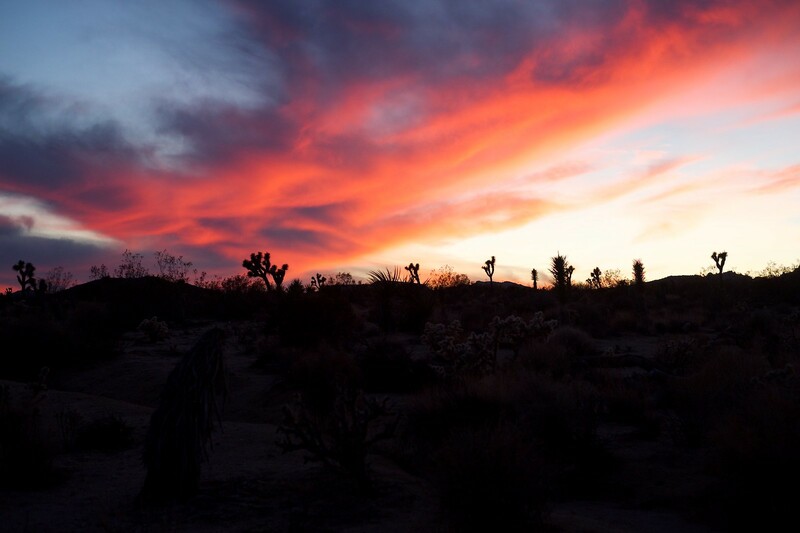 At last we came upon the joshua trees themselves, silhouetted against a pink sunset, and it was okay I guess.